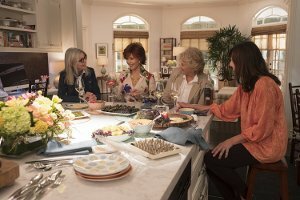 In a group of four friends, one is a woman recently widowed after 40 years of marriage, the second enjoys her men with no strings attached, the third is still working through her decades-old divorce, while the fourth’s marriage is in a slump after 35 years. 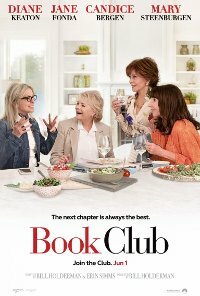 Their lives are turned upside down after their book club has them reading the infamous ’’50 Shades of Grey,’’ catapulting them into a series of outrageous life choices. Language Moderate, fairly frequent, justified. Violence Low impact, isolated incident, justified by context.